When pets frolic through the fresh grass, they may stumble upon more than they bargained for. Bee stings are especially frequent in warmer weather. In fact, according to Petplan claims data, pets are twice as likely to be stung during the summer compared to the rest of the year – and bees cause 25% of these incidents! Depending on how your pet’s body reacts, you may not even realize they’ve been stung – or you may be racing to the emergency vet. Most of the time, it’s somewhere in between. Minor ouch: Most often, bee stings cause temporary localized pain and redness. In these cases, you might not know that your pet was even stung. (Not so) swell: Bee stings can also cause a more generalized reaction, including facial swelling, hives and itchiness. A swollen muzzle is also a classic sign of a bee sign. Allergy emergency: In highly allergic pets (or cases of multiple stings), a severe anaphylactic reaction may result in breathing problems, collapse and even death very shortly after being stung. Anaphylaxis can occur in cases of severe envenomation from multiple stings or in cases of animals who are highly sensitized, when just one sting can be life-threatening. If you know your pet’s been stung, call your vet for advice on treating their reaction. Your vet may recommend an over-the-counter antihistamine like Benadryl® or give injectable medications to help calm the allergic reaction. If your pet experiences weakness or vomiting, you should consider this an emergency and proceed accordingly. Treatment for anaphylactic shock will require hospitalization, and despite aggressive treatment, some of these patients may die. Avoid grass and clover areas where bees hang out. 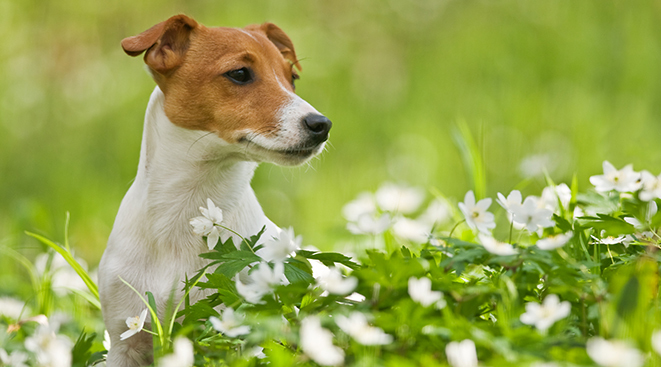 Teach your dog the “leave it” command in case they happen upon a bee or nest. Ask your vet about carrying an EpiPen® if your pet is highly sensitive to stings to guarantee quick administration of epinephrine. 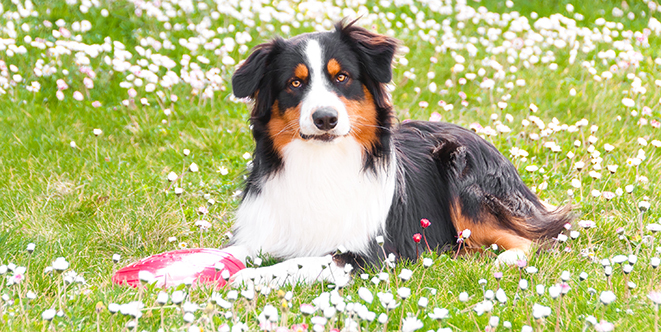 If your pet has an encounter with a bee, play it safe and call your vet.